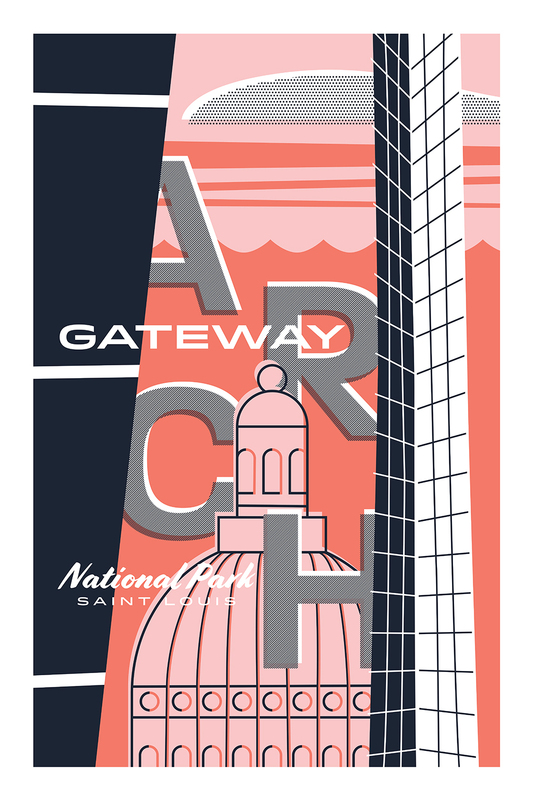 Gateway Arch National Park by James Campbell. 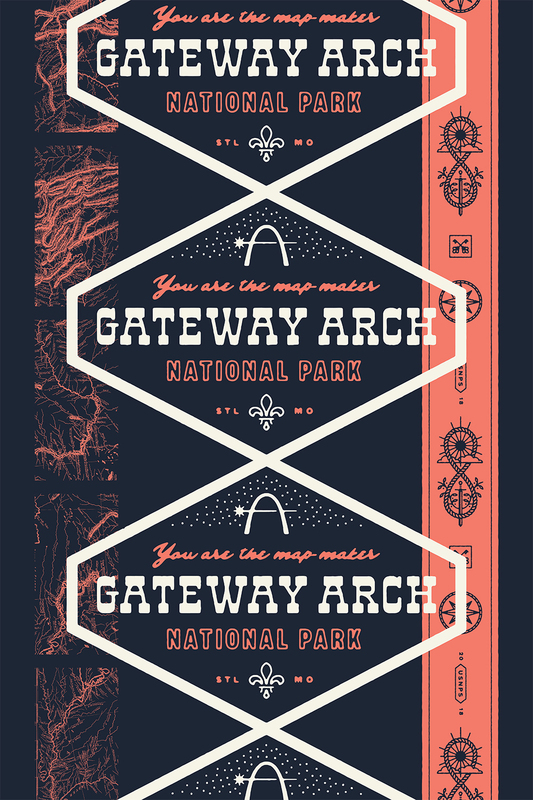 18" x 27" Posters printed with love in St. Louis, Missouri. 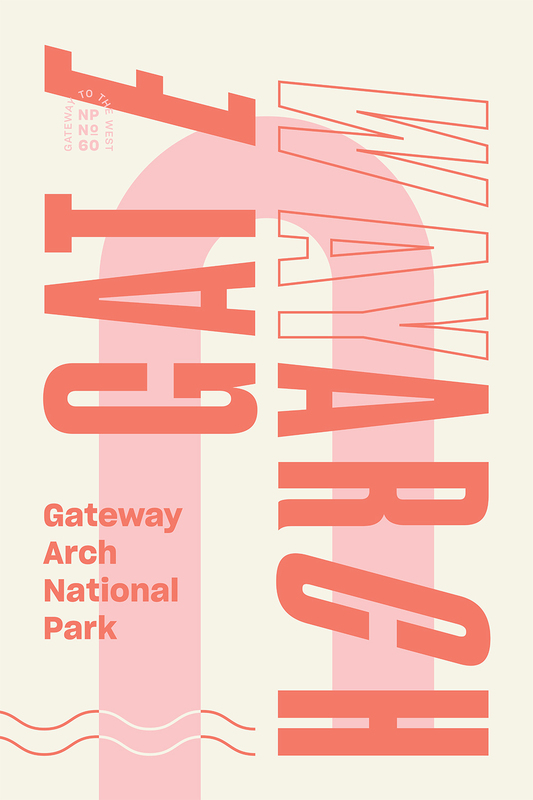 Gallery quality inkjet prints on 110lb matte paper. 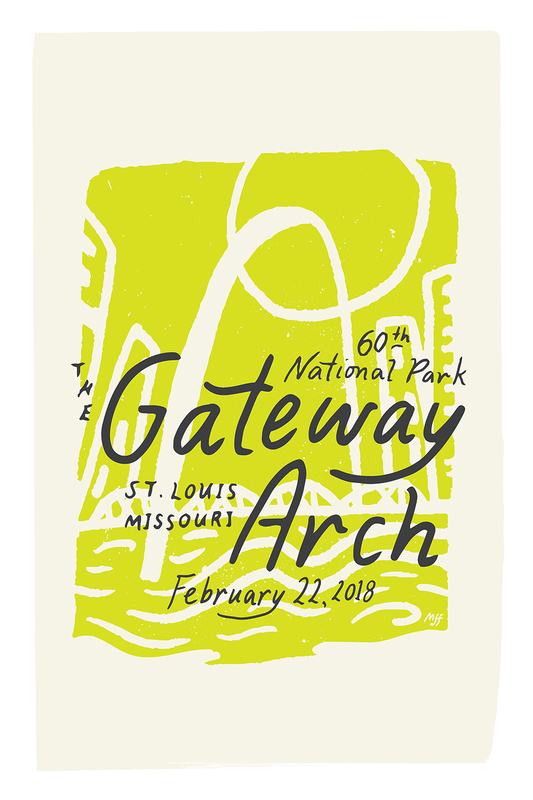 100% OF PROFITS FROM THIS SERIES WILL BE DONATED TO OUR CHARITABLE PARTNER, GATEWAY ARCH PARK FOUNDATION. 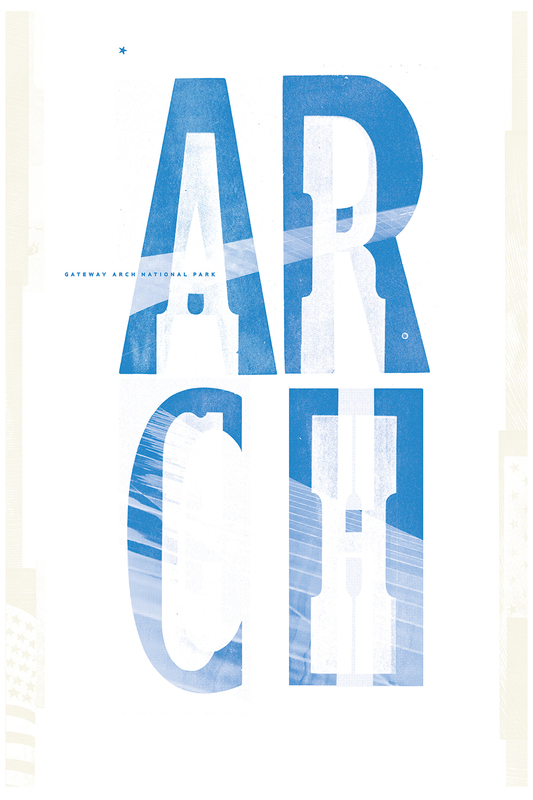 Pre-orders will begin shipping May 13th. 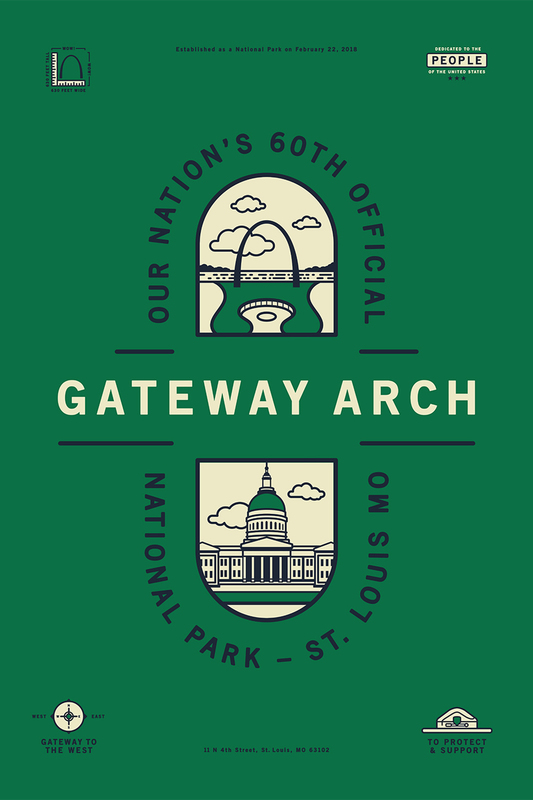 On February 22, 2018, the Jefferson National Expansion Memorial became our 60th National Park, renamed Gateway Arch NP. 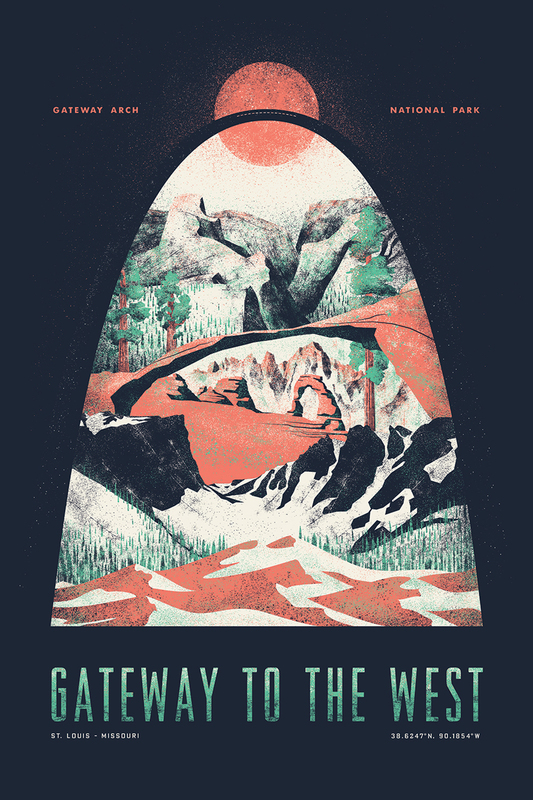 Each Type Hike poster uses man-made design to honor our majestic wilderness. 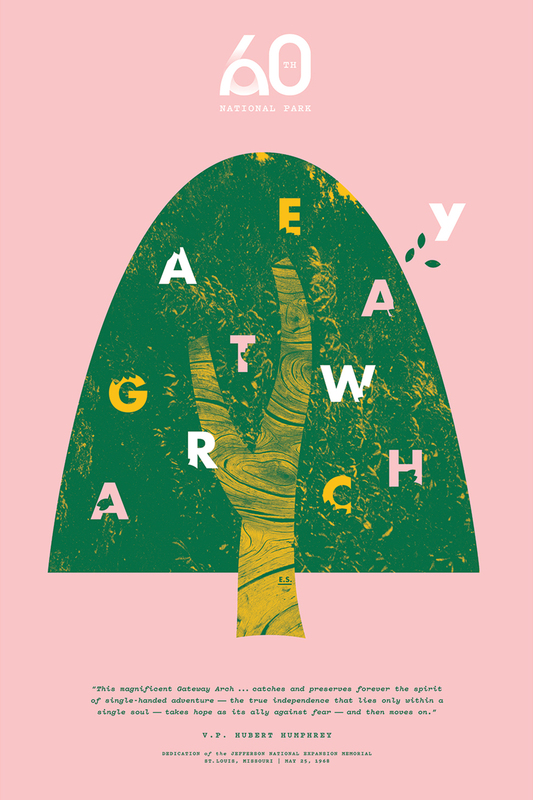 Photography, illustration and type strive to tell a story, reminding us of untamed places filled with adventure. 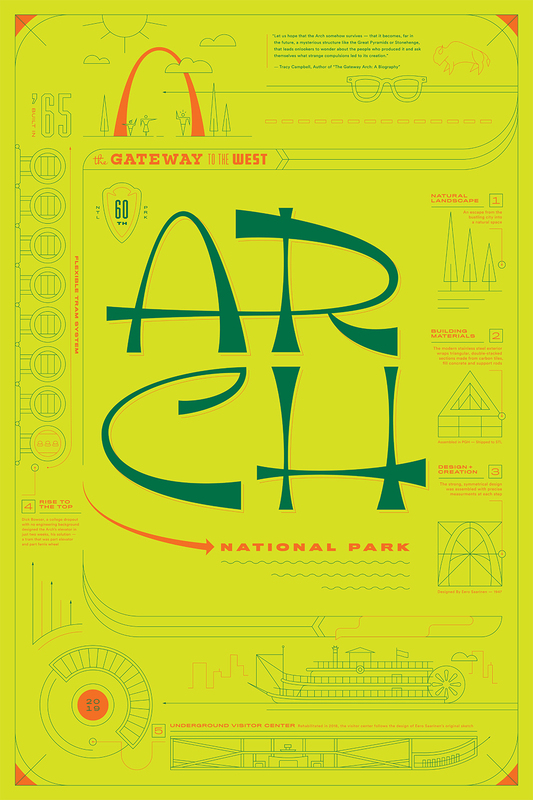 In its latest series, Type Hike steps out of the wild into our 60th National Park, a true intersection of man-made marvel and natural beauty. 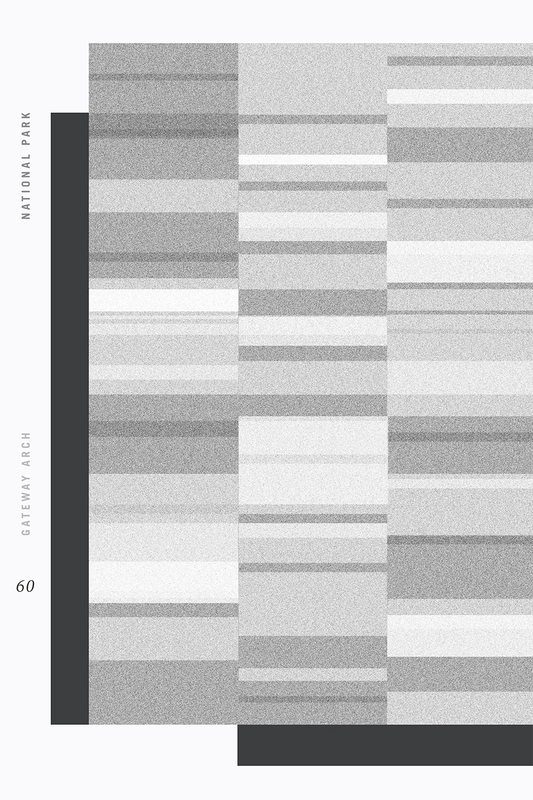 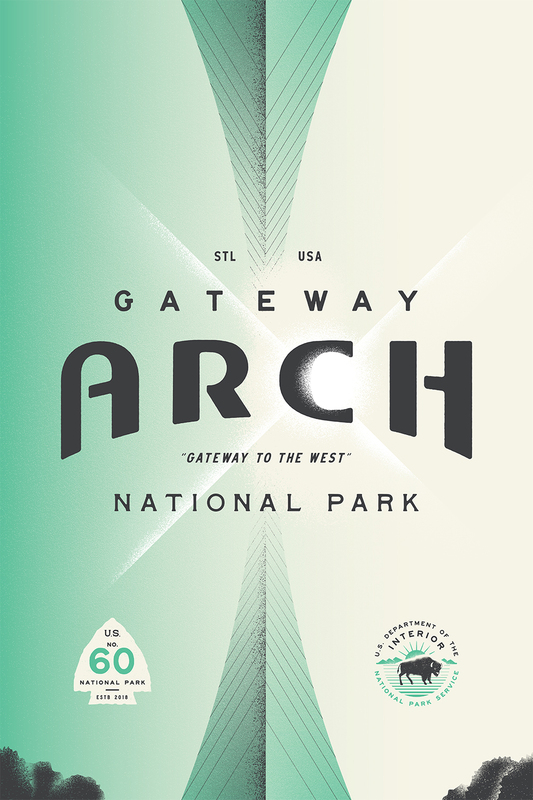 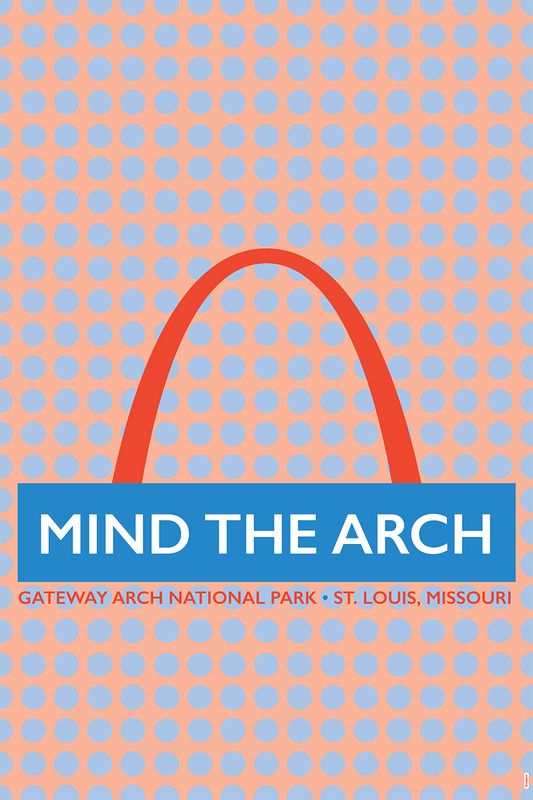 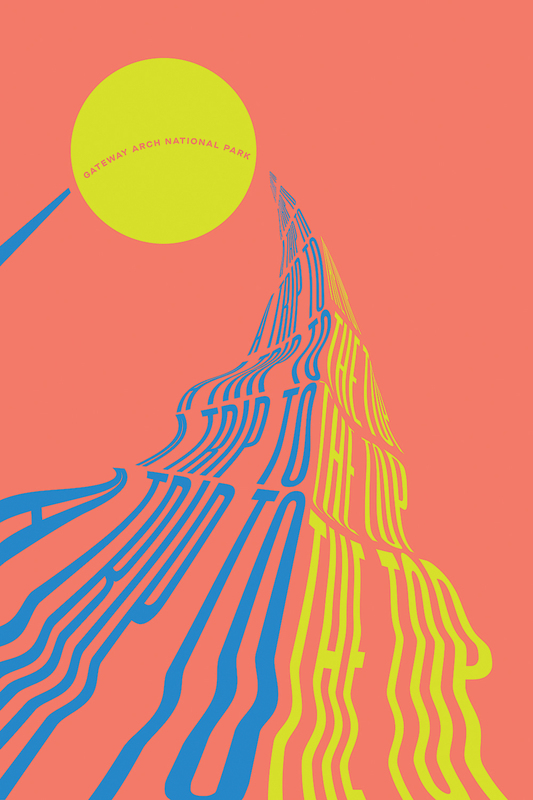 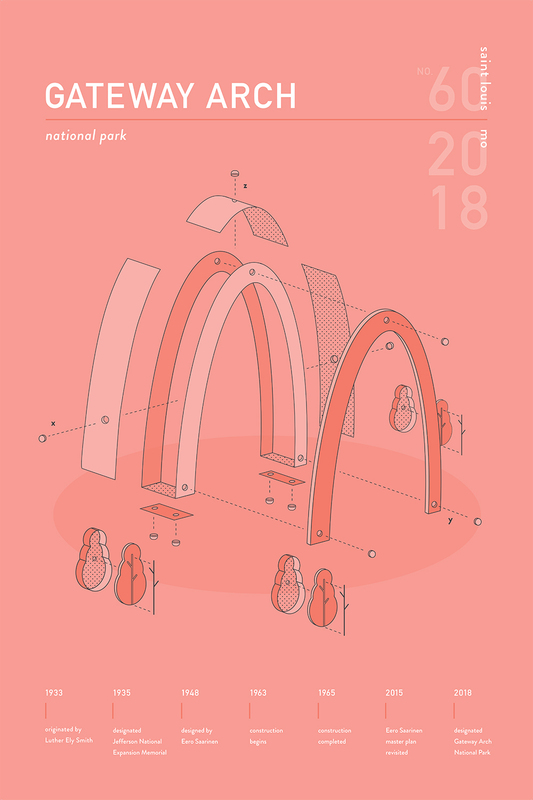 Type Hike’s fifth series: ARCH, features 60 representations of America's 60th National Park, the Gateway Arch. 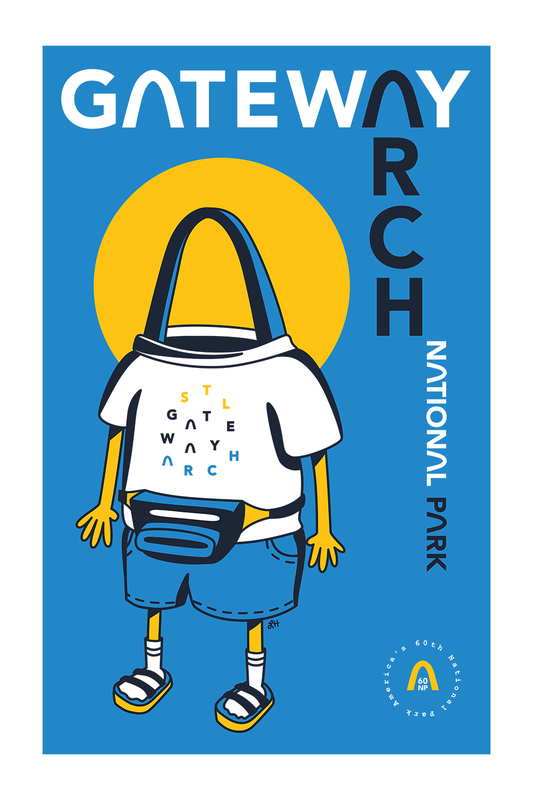 Contributing designers have an affiliation with the city of St. Louis and were presented with the challenge of creatively expressing the city’s most overused icon. 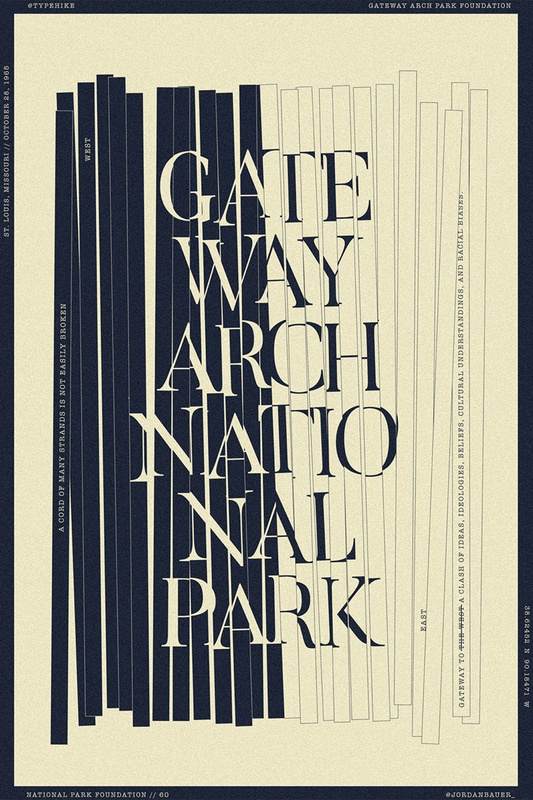 Throughout the series are responses of form, material, cartography, history, conspiracy theories, and anthropomorphism through typography, illustration, and messaging. 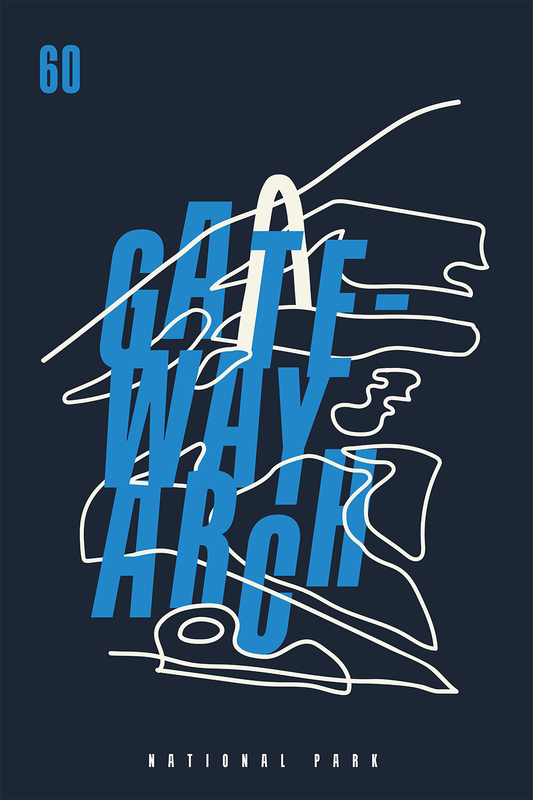 All submissions were available for purchase until March 31st, 2019. 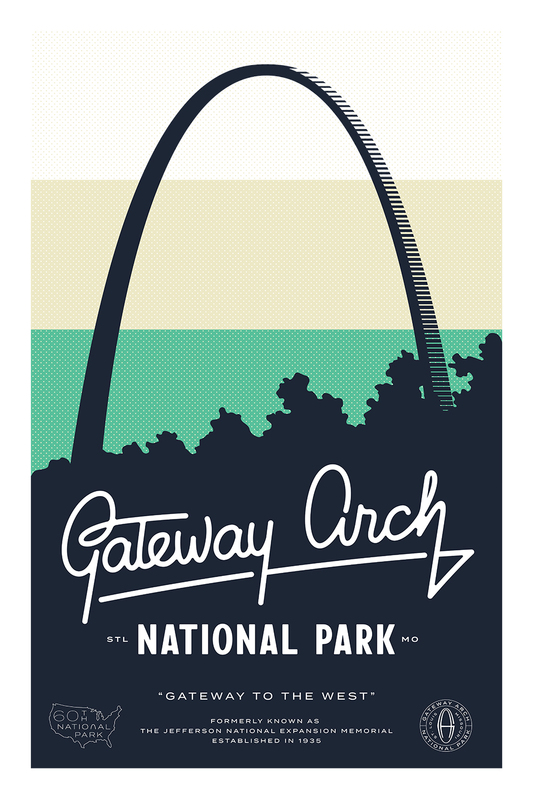 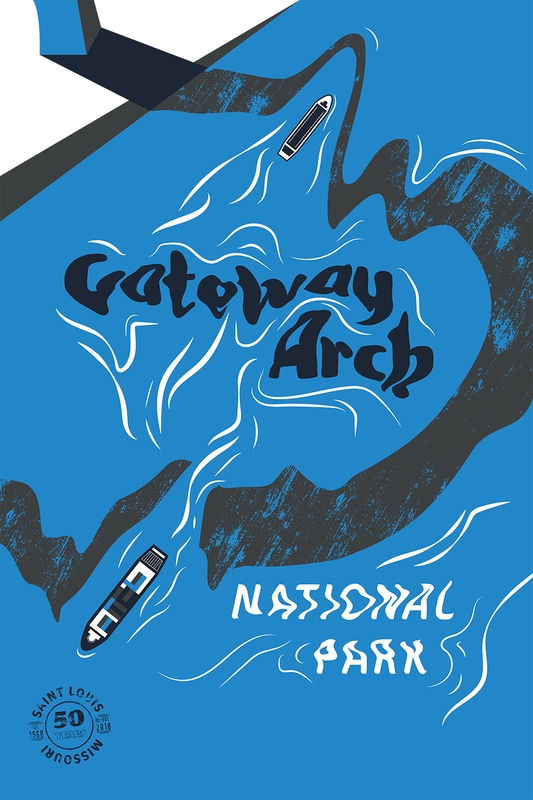 Through a public vote, we chose a single poster to represent Gateway Arch NP within our National Park series.